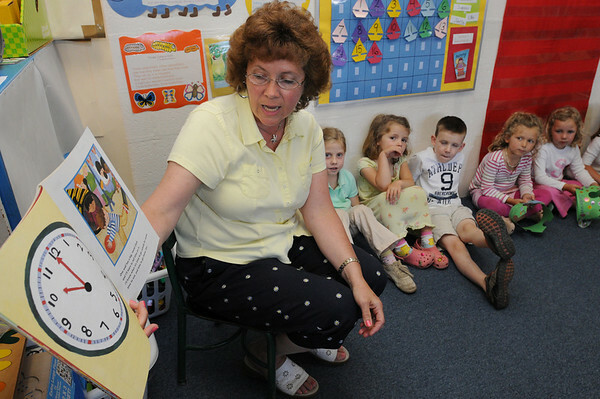 Robin Abel, TK teacher, reads a book to her students. Roseann Phelan has run Seaside Nursery School for more than 35 years, in an old grammar school formerly run by nuns. Many generations of Marblehead residents have attended this school, or her other location, The Children's Center on Tioga Way.